Dr Paul Merchant is an Oral History Interviewer for the National Life Stories’ project An Oral History of British Science at the British Library. And yet, Janet Thomson clearly was a dangerous woman as far as the British Antarctic Survey were concerned. By the time she stepped onto a research ship bound for Antarctica in 1983, female scientists had already made many successful journeys into male scientific spaces: women were members of engineering institutions in the 1920s, by the 1930s the Royal Aircraft Establishment employed several women, the first Fellows of the Royal Society were elected in 1945 – the same year in which Rosemary Lowe-McConnell established her fisheries laboratory on Lake Nyasa in Malawi for the Colonial Service, Dorothy Hodgkin won the Nobel Prize for chemistry in 1964 and female geologists were working in the field for the British Geological Survey from the early 1970s. BAS, though, was not following suit. The organisation was – reflects BAS glaciologist Charles Swinthinbank – “about the slowest” to change; its director had Sir Vivian Fuchs had said “I’m never going to have women in the Antarctic”[v]. Why was shy, quietly spoken Janet Thomson so dangerous for BAS? The answer, I suggest, is that she threatened BAS’ concern with stability. The Survey’s scientists were engaged in an effort to produce reliable knowledge in an environment that is constantly moving – literally flowing. Indeed, much of the science sought to measure the rate at which glaciers moved, to survey areas of shifting ice in relation to rock benchmarks and to record the “mass balance” of ice sheets. Actually getting anything done at all depended on periods of meteorological calm and the integrity of the surface or, at least, an attentiveness to the likelihood of breaks in the surface: crevasses. And, above all, it was felt that that the successful work of groups of men in close quarters – in tents and cramped bases – relied on individual psychological strength (not cracking-up) and participation in a homosocial culture of work in which the masculinity was tried and tested, conventional, straightforwardly heroic and clubby. If women were suddenly present, then to the unstable physical environment would be added another moving layer; a destabilised social environment: “I’m sure that Sir Vivian would not have countenanced having any women just from the general attitude, you know, it was chaps’ environment”. [viii] If the reliably heroic, homosocial environment of the research station, the tent, the aircraft, the research ship, the sledge team was allowed to change in any way, how could the production of scientific knowledge continue in a stable way? Easier. Not needing attention. Stable. Janet Thomson was a dangerous woman not just because she – through quiet persistence – claimed the right to do science in the field in the Antarctic. She was dangerous because she forced BAS to question the one feature of its Antarctic science that could be relied upon to stand still when you took your eye off it. Images: Janet Thomson in Antarctica in 1985 by P.D. 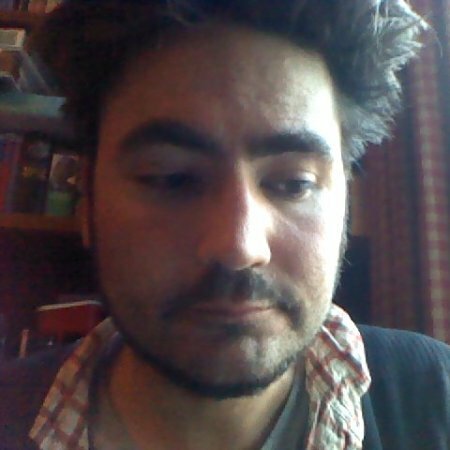 Rowley, copyright: The British Library. 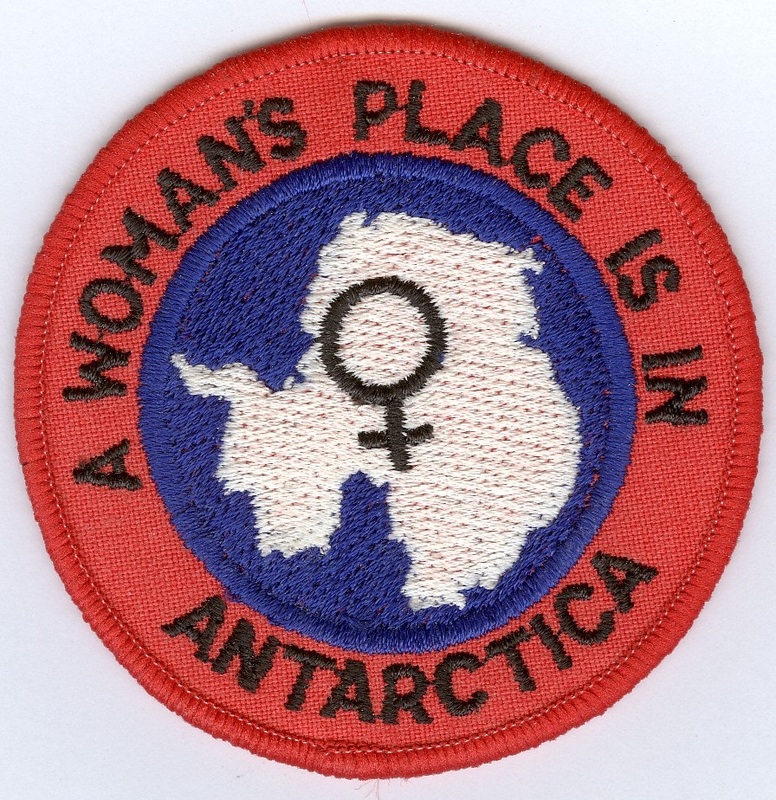 Patch for anorak bought by Janet Thomson in New Zealand’s Scott Base, Antarctica in 1984 by Paul Merchant, copyright: The British Library. Used with permission.